Sun Valley Luxury Lodgings offers privately owned, luxury vacation rentals throughout Ketchum, Elkhorn, Warm Springs and Sun Valley, Idaho. West Ketchum / River Run- Townhomes, Condos, and Homes are walking distance to Downtown Restaurants and Shops and Bald Mountains River Run Ski Lifts and the Big Wood River. Less than a mile to River Run and downtown Ketchum, Weyakkin vacation homes include privileges to Weyakkins Pool, Hot Tub, and Tennis Courts. 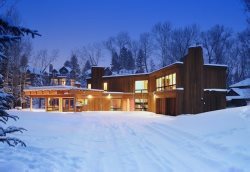 Located between Hailey and Ketchum, Mid-Valley vacation homes in areas such as Gimlet, E. Fork, and Golden Eagle offer some of the most exclusive luxury rentals in the Sun Valley area.